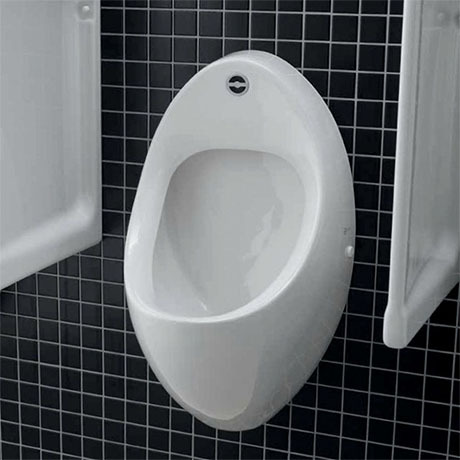 Vitras S-Line Infra-red urinal. The pan is 385mm deep and its strong and durable quality porcelain is finished in high-gloss white, making the S-Line Infra-red urinal attractively functional. Made from fine vitreous china with an added high glaze, the urinal is very robust and therefore comes with Vitra's ten-year guarantee.